The Space Ship Menorah. An absolutely fascinating creation with beauty and detail that the market has not seen before. 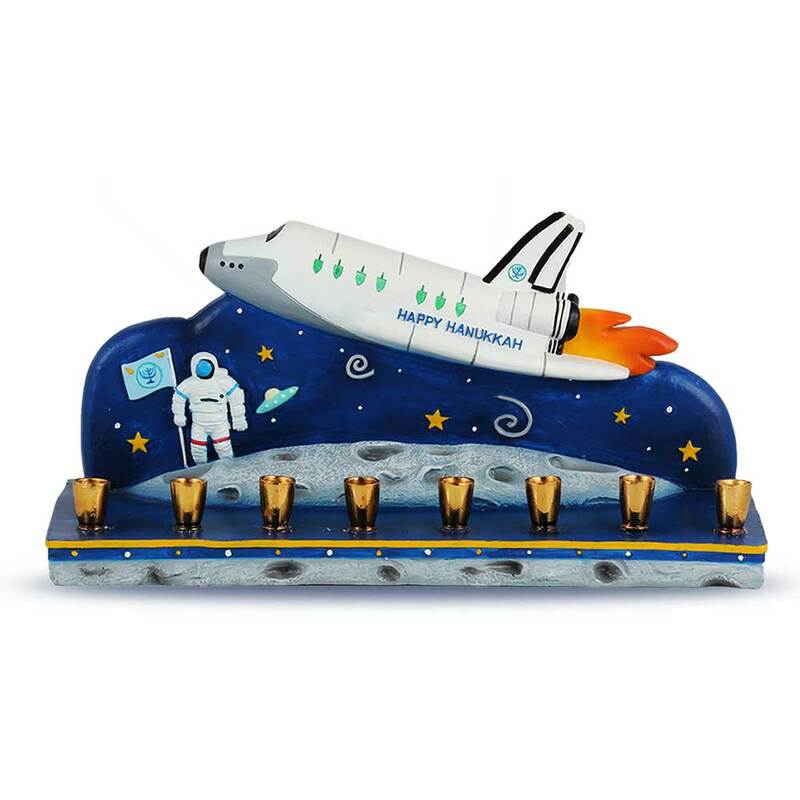 This Menorah is designed with exceptional talent, hand sculptured and hand painted. The Design spans thru all sides of the item. 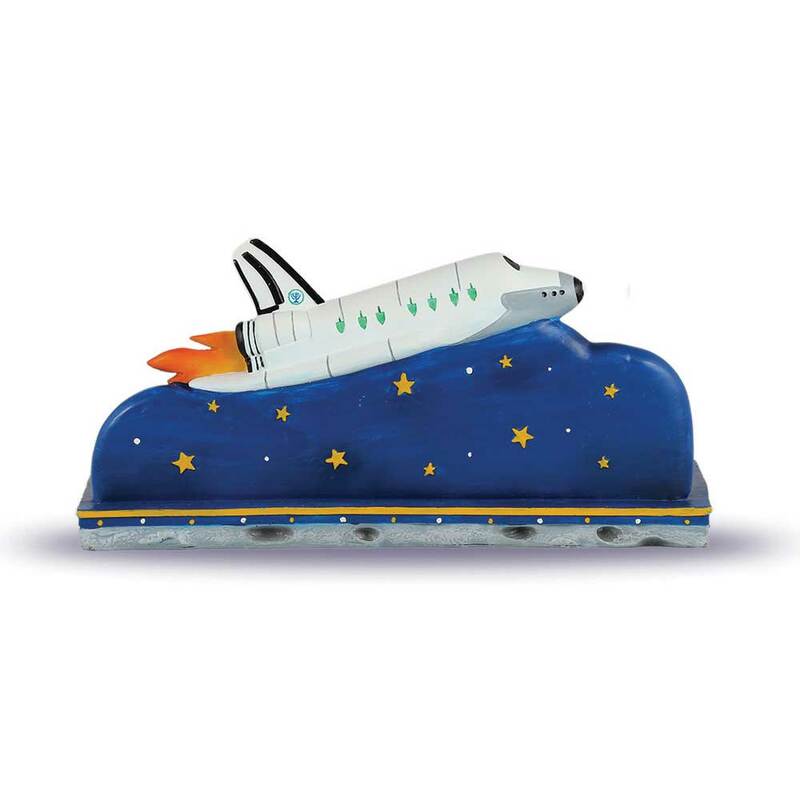 Let kids explore their imagination and light the Menorah in outer space.